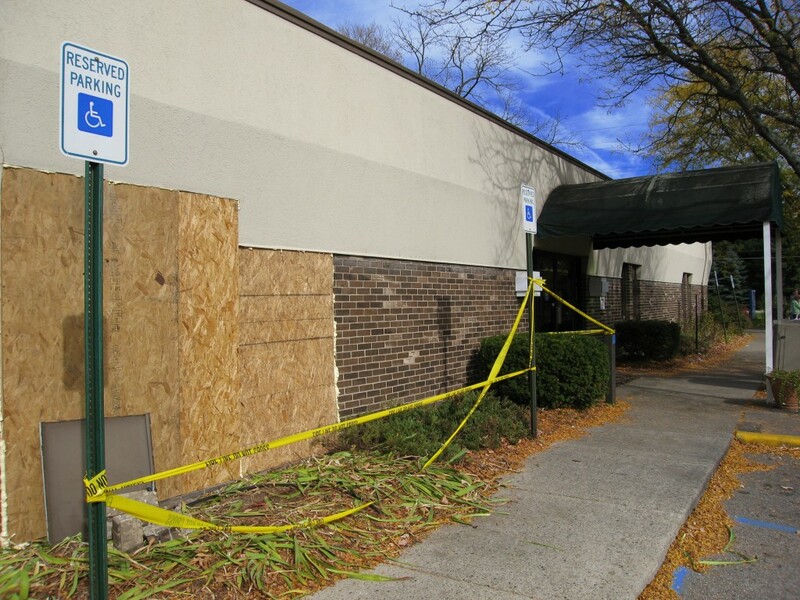 A few weeks back, I walked to the Hope Borbas branch of the Capital Area District Library, only to find that it was closed because a car had crashed into it. It is difficult to fully explain how much this upset me. As a near daily journey for me, the library has become an important part of my life. I, admittedly, am unemployed and find it difficult to fill my day as easily as when I was working. I find myself getting bored much easier, and I seem to have fewer chores to complete. The big difference of course being that everything I used as distractions or for pleasure when I was working, are now the only thing that fill my day. And there are only so many video games to be played and rooms to be cleaned. And I don’t like the way my wife looks at me when I am talking to the cats as if they are people. So I find myself reading a lot more. I have always been an avid reader, but up until 4 years ago, I only read non-fiction books, newspapers, magazines, and the back of cereal boxes. Of course I read the occasional fiction, but I just wasn’t very interested in them. Yet, I had a good friend who constantly recommended books to me, knowing that one day I would get hooked. Sure enough, when he lent me Tony Hawke’s (not the skateboarder) “Round Ireland with a Fridge,” I was sold. While it wasn’t fiction, I had been reading mostly biographies (both auto and non auto versions), and rarely strayed from the genre. Tony Hawke‘s, though, wrote a book that wasn’t a biography of his life, but rather a hilarious portion of it. Thus began my search for other great travel narratives. I read several more books by Tony Hawkes. I burned through Tony Horwitz and Danny Wallace. I developed a love/hate relationship with AA Gill, and a hate/hate relationship with Bill Bryson (I just don’t understand his appeal and it blows my mind that he is so popular). During this search for new “voices,” I became hooked on the library system in our area. CADL became my source for DVD rentals. I allowed my magazine subscriptions to expire, as I was able to read to my heart’s content at the library. I slowly began branching out and reading different genres of fiction, as well as getting my non-fiction fix. I became more and more familiar with the library systems on-line catalog system, using it to place holds on books that I wanted to read, even if they hadn’t been released yet. I discovered the wonderful practice of suggesting items to be purchased by and for the library, which you can then put yourself on the top of the hold list if the library decides to follow up on your recommendation. If that wasn’t enough, CADL is chock full of extra goodies. On top of your typical enrichment classes offered as part of a library system, CADL goes above and beyond to make your life a better place. The Hope Borbas branch (in Okemos, and my regular haunting) holds regular music sessions, with an upcoming show on December 15 by Folk Duo Nervous But Excited. CADL offers up numerous informative blogs, including blogs about health, technology, and teen centric posts. If you need to find more information about social service programs in your area, you can jump onto CADL’s website to find the desired service. Or, if you are anywhere near the 13 area locations, you can simply ask a librarian. I have never been to any CADL branch, in my 13+ years of living in the area and utilizing the library services, and had an employee be anything but pleasant and helpful. Do you have children? Check out the Families & Children events section or find out when there are Storytime hours at your local branch. Tired of only being able to have the books for a determined amount of time? You can find a used book sale, held regularly at various branches throughout the year. Are you unemployed, as I am? Take advantage of networking groups in order to increase your chances of getting your dream job. Do you just want to want to get together with other like-minded individuals and discuss your favorite literature? Then join any of the various discussion groups. There are loads to choose from, including groups geared towards adults, kids, tweens, and fiction or non-fiction fans. My personal favorite is the Brewpub Book Club, which meets monthly at MBC Downtown to discuss great books over a few pints of local brew. Whatever you need, the Capital Area District Library can provide it for you. Except food or drink. You can’t bring lunch to the library. Although, they can help you learn how to grow your own food and how to filter your own water. This entry was posted in City Life, Lansing Spotlight, Music, Organizations and Clubs, The Arts and tagged #lovelansing, CADL, knowledge is power, Lansing area, library. Bookmark the permalink.